I am SO excited to announce my latest project…. 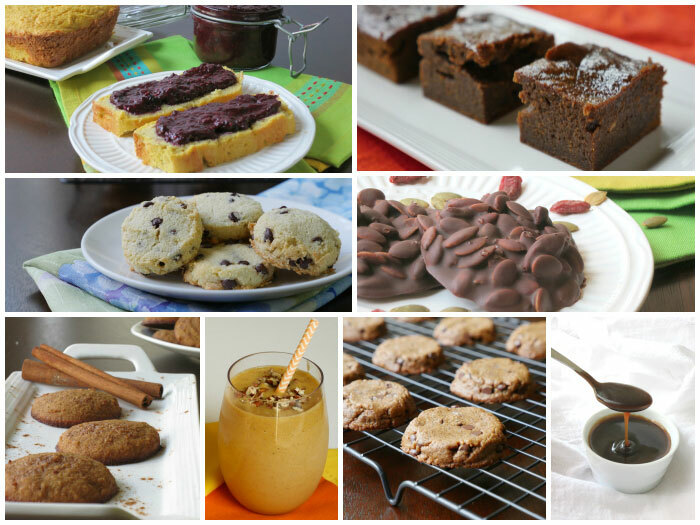 an eBook: Grain-Free Simple Sweets: 5 Ingredients or Less (click here for details)! I’ve been working on this bad boy for a couple months now with my friend Vivian over at The Real Food Guide. We wanted to put this book out for you guys before the holidays – so that you can make quick and simple sweet treats at home for yourself and for your families. The hardest thing about living a real foods lifestyle is managing my sweet tooth and from what I’ve heard, a lot of you feel the same. When I indulge, I try to “cheat” with unrefined sweets that help keep me full. I think this eBook will help you guys indulge without guilt! 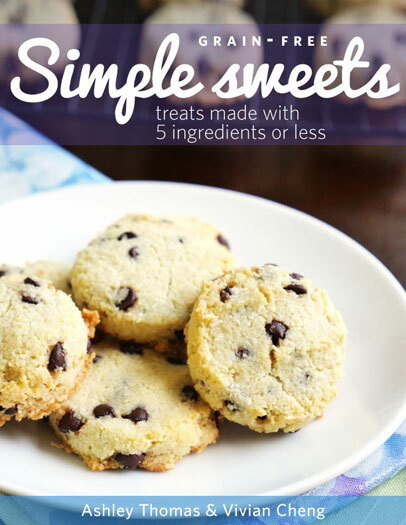 Grain-Free Simple Sweets: 5 Ingredients or Less is an eBook with 30+ recipes – all of them made with 5 Ingredients or LESS. And for a SHORT time period, you can get Grain-Free Simple Sweets for more than 60% off – BUT you have to order SOON. All of the recipes in this eBook are grain-free, Paleo-friendly and delicious. They’re really simple to prepare and if you’re already living a real foods lifestyle, you’ve likely got everything you need right in your pantry. So what can you find in this eBook? All kinds of desserts! You can check out the table of contents for the full list of treats by visiting this link. Congrats Ashley! can’t wait to try out the recipes! I love cookies and these look perfect! Thank you, Rishi!! 🙂 You will love the cookies!! Thank you, Kalpana! 🙂 Let me know how they turn out for you! Hi Kalpana! You might be better off using a hand mixer or mixing by hand (this will require a bit of effort). My only concern with the vitamix is that the batter is very thick due to the coconut flour. If you try using your vitamix though, please let me know how it turns out!